Colonial costumes require a certain look of authenticity that can be achieved with the addition of our Mens White Colonial Hose! 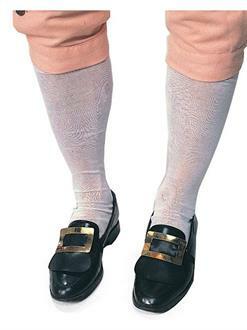 This accessory features a pair of white cotton socks that reach above the knee. Perfect for historical reenactments and patriotic plays.